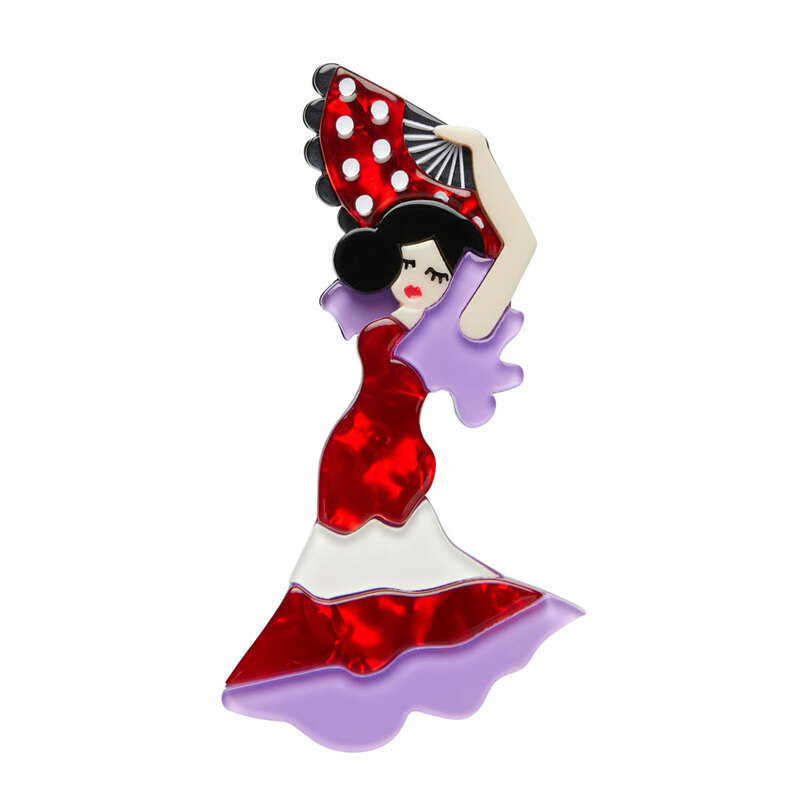 A Lady Andalusia Spanish Flamenco dancer brooch by Erstwilder! 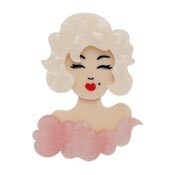 Show your passion for the dance with this gorgeous gal complete with a fan that matches the fan in this collection. 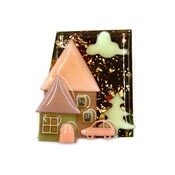 These little works of art are created with multiple layers of colorful textured and solid resin with handpainted details. 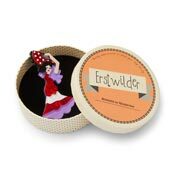 The pin comes in a round Erstwilder keepsake box with story card. 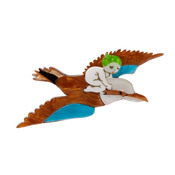 Erstwilder jewelry is designed in Melbourne, Australia. Its origins may be a mystery, but passion is alive today in all those who dance the dance. Be it love or be it pain, emotion is alive and well in Flamenco. 1 5/8 inches wide and 3 inches high.